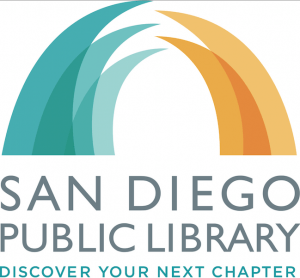 San Diego Public Library (SDPL) announced April 15 the launch of a new logo and rebranding effort that is designed to better reflect the Library’s new direction, representatives said in the announcement. The launch coincided with National Library Week, and honors the Week’s theme: Communities Matter @ Your Library. “SDPL is at a pivotal point in its history. We are poised to open a new state-of-the-art Central Library later this summer,” Library Director Deborah Barrow said in the announcement. The Library’s old logo – in use since the 1980s – has been retired, and the new logo was created to include an image reflective of the new Central Library’s dome. “The teal color reflects San Diego’s ocean waves and the orange reflects the area’s vivid sunsets and sun-drenched hills,” representatives said. 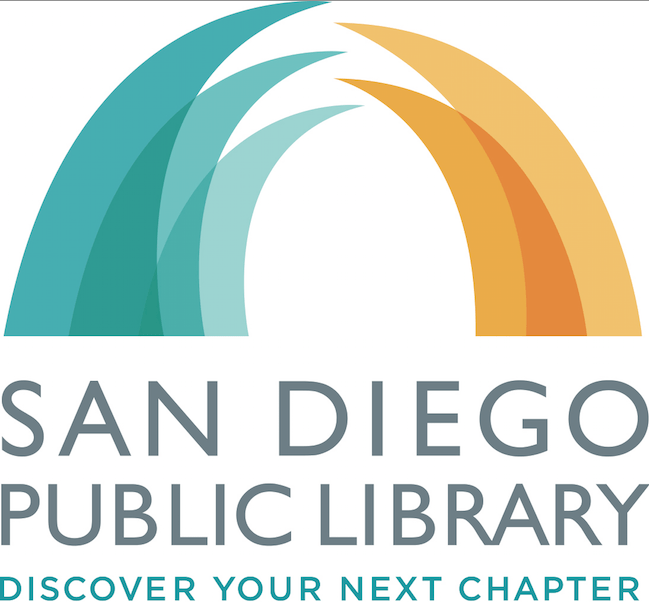 “The logo suggests hands joining together, echoing the Library’s connection to the community and the branches and Center Library’s connection to each other.” Design of the new logo began over one year ago as a collaboration between San Diego Public Library and a graphics class at San Diego State University (SDSU). As part of the branding effort, five newly designed library cards are now available to current and new members, each with the new tagline “Discover Your Next Chapter.” Barrow said the announcement and Central Library represents a “rebirth” and “new mindset” for SDPL. “It has been exciting to witness the level of energy from staff regarding this creative process,” she said. Mayor Bob Filner released his proposal for traffic in Balboa Park’s Plaza de Panama at a Balboa Park Committee meeting Wednesday, April 24. 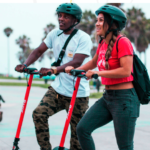 The proposal would ban cars from the central plaza, making the area pedestrian only, and halt traffic across the Cabrillo Bridge completely on weekends. During the week, automobile traffic would be allowed across the bridge as a way to pass through the plaza and continue to current parking lots: the Organ Pavilion lot behind the Spreckels Organ Pavilion and the time-limited Alcazar lot. Automobiles would no longer be allowed to park in the central plaza near the entrance to the San Diego Art Museum. The plan is in part to replace the proposed Jacob’s Plan, which a court determined earlier this year had violated historic preservation ordinances established by the City. Major differences in Filner’s plan from the previous proposal include not building a bypass bridge from the Cabrillo Bridge to link automobile traffic through the park, and not constructing an underground parking facility beneath the Organ Pavilion lot. 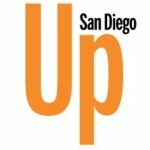 Filner said the cost of his proposal is approximately $500,000, and was seeking input from the Balboa Park Committee and community members to help solidify the plan’s logistics. “We want your input,” he said, adding that nothing is “cast in stone.” The temporary changes would go into effect Memorial Day weekend, May 25. Several students in Uptown are currently starring in the San Diego Junior Theatre production of “A Little Princess,” playing Friday, April 26 through May 12. Izzie Haberman and Natasha Partnov of Mission Hills; Bianca Alvarado, Gabriela Villafranca and Antonia Villafranca of Hillcrest; Isabelle Pickering of Burlingame; Ruby Ross of South Park; Maia Larom of Golden Hill; and Emery Campen and Lillian Shallow of Talmadge are all a part of the production. 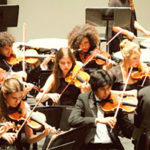 “‘A Little Princess’ exhibits the talent and dedication of dozens of students, both onstage and behind the curtain. With guidance from adult professionals, the crew members prepare costumes, apply make-up, run the stage lights and sound systems, and carry out most all other fundamental theater responsibilities,” organizers said in a press release. Desha Crownover is directing the play, which is showing at Balboa Park’s Casa del Prado Stage Fridays at 7 p.m., and Saturdays and Sundays at 2 p.m. Tickets are $10 – $15 and can be purchased online at juniortheatre.com or by calling 619-239-8355. The San Diego affiliate of Susan G. Komen for the Cure awarded a $40,000 grant to San Diego-based Scripps Health to help fund breast health education and services to South County’s underserved communities. The grant will support the Scripps Healthy Women Healthy Families program led by Chula Vista, Calif. resident Raquel Sandoval. In the program, peer educators teach Latina, Asian and Pacific Islander women 40 and older about breast cancer early detection and services. “Mammography screening is the single most effective method of early detection for breast cancer, but obstacles prevent some people from taking action,” said Scripps Health Director of Community Benefits Kendra Brandstein in a press release. “Our program educates these hard-to-reach women on their own terms so we can help remove roadblocks to screening and care.” Data supplied by the Komen foundation and Scripps Health show Latina, Asian and Pacific Islander women are less likely to be screened and receive follow-up services, “often due to cultural, language or financial barriers,” the release stated. 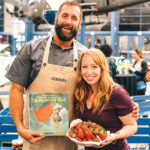 Mission Hills-based nonprofit Special Delivery San Diego will be the special guest at The Thursday Club’s gala fundraising event Friday, April 26. The evening of entertainment and dinner along with a live auction will be held at the Club’s Point Loma location, 1224 Santa Barbara St. “This year we are proud to support Special Delivery San Diego,” organizers said in a press release. “Their mission is ‘to alleviate hunger and malnourishment in medially homebound people and people living with AIDS, cancer and other critical illnesses.’” Special Delivery is headed by Ruth Henricks, and the 100 percent volunteer organization provides weekend grocery delivery, including food, paper necessities and personal hygiene items, to their clients. Henricks founded the nonprofit in 1991. It is located at 4021 Goldfinch St., next to Henricks’ restaurant The Huddle. Organizers for the gala said 91 cents of every dollar donated is put directly toward the meals served. 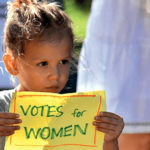 Established in 2004, the Thursday Club Foundation is a women’s philanthropic organization that has previously granted awards to Musicians for Education, the San Diego Air & Space Museum, San Diego Rescue Mission and Good Will, among others.